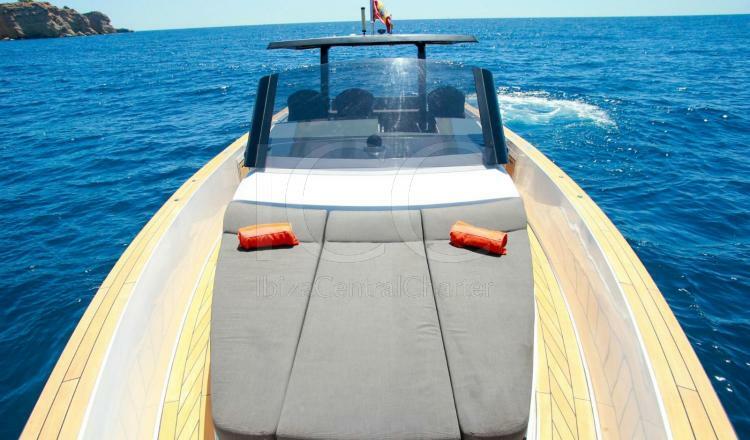 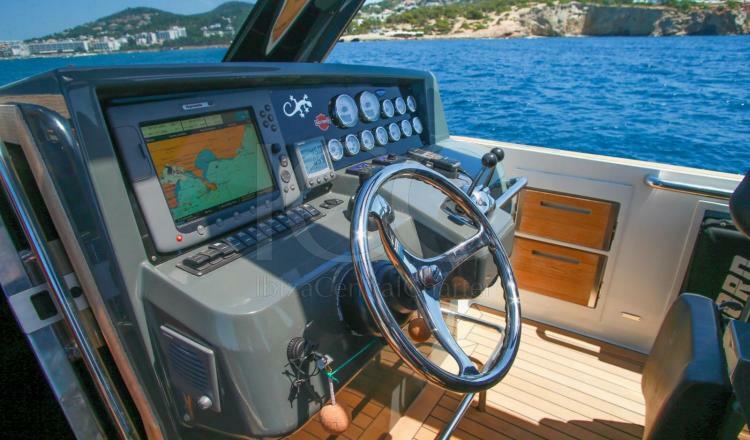 The FJORD 40 is defined as the spacious sports cruise of excellent functioning, which shares with Ibiza the luxury and the exclusivity for everyone who want to enjoy the island to the maximum without resigning any detail. 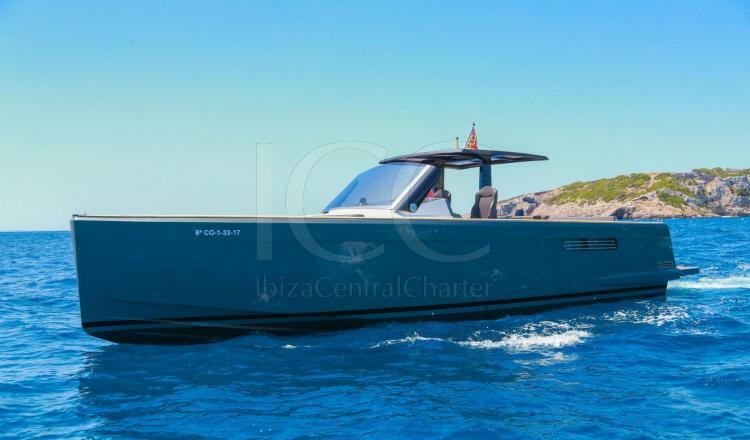 FJORD 40 is a modern and the unic ship that by the design in lines and clean surfaces has gotten be a design to imitating. 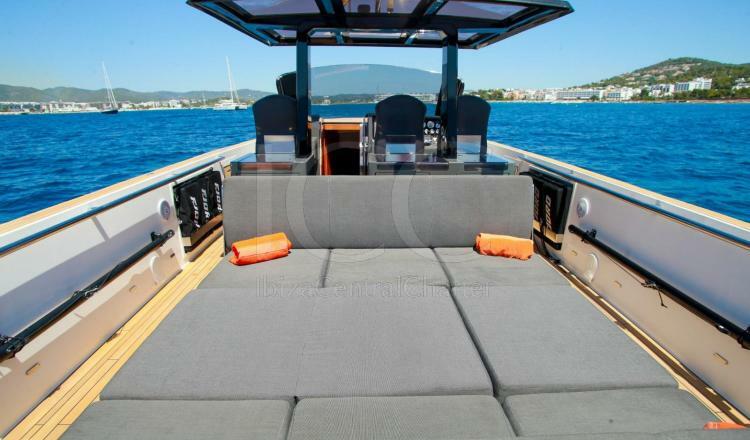 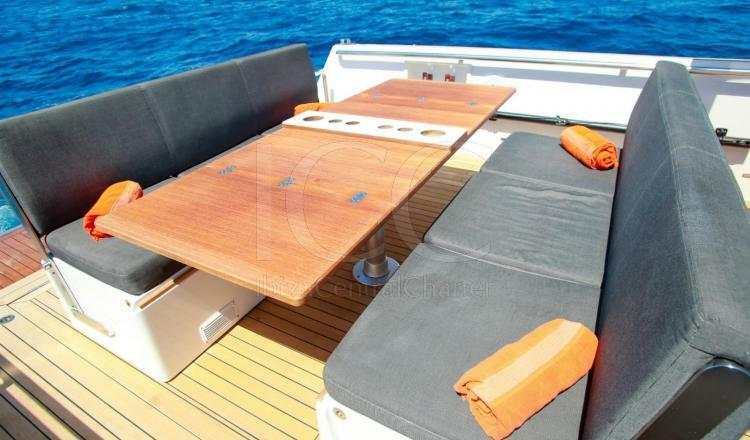 The real holidays begins with the first step on the FJORD 40, in their cockpit you will find a big space equipped with a transformable table and seats in a wide solarium. 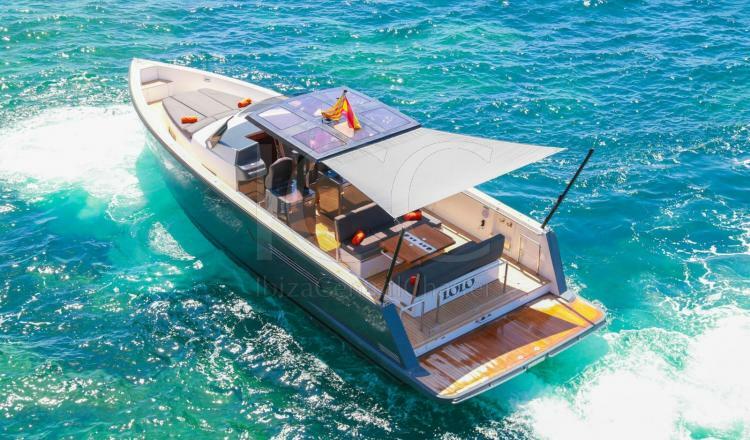 This ship possesses a platform that it makes easier and entertained the access to the sea, thats the reason of why the FJORD 40 is perfect also for children or persons with limited mobility, with a capacity of up to 9 persons. 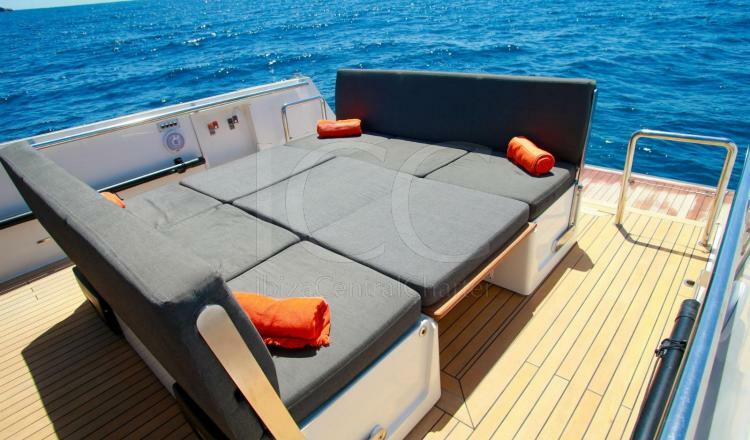 To continue feeling comfortable, the FJORD 40 shelters in his interior a main cabin with queen size bed and a completely equipped bath designed to make yourself to feel comfortably and in an atmosphere of design and luxury. 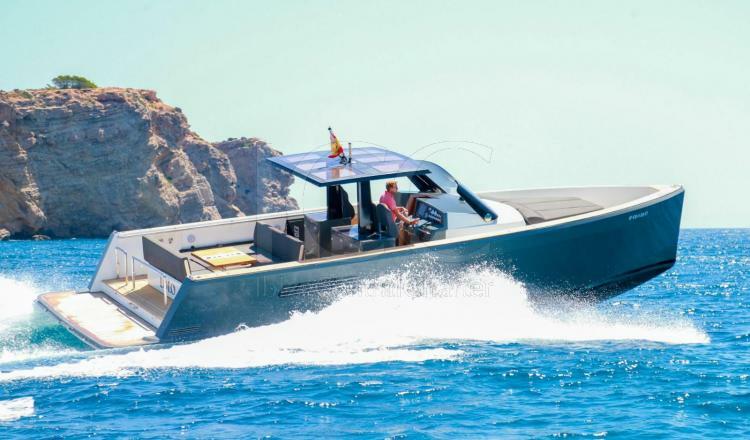 Available for excursions during the day and with skipper included in the price, we listen your preferences in route to achieve a fantastic and personalized experience for each client.